By David Veselka on Sep 30, 2015 - 4 Comments. 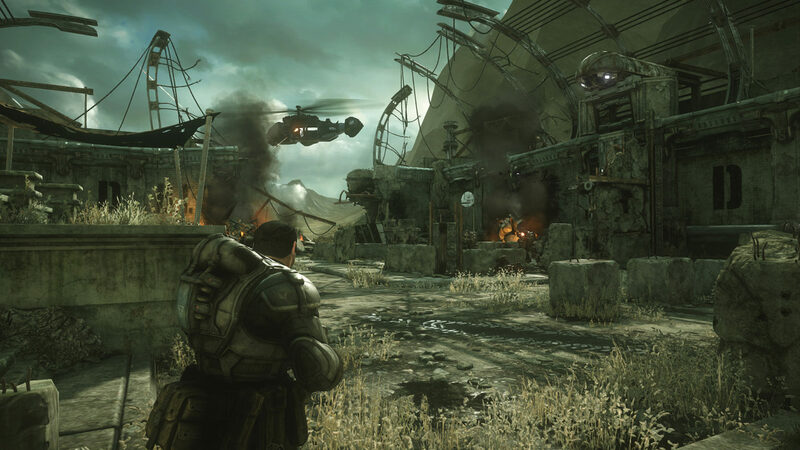 For me, booting up Gears of War: Ultimate Edition multiplayer on Xbox One was an unpredictably refreshing experience, despite the age of the original game this current-gen remake by Vancouver-based studio The Coalition is based on. The care and quality that went into the actual remaking of the original might be at the root of it, but so is my unfamiliarity with the series. Prior to August 25, 2015, I could count the amount of multiplayer hours logged into Gears of War on Xbox 360 on two fingers. Its cartoonish violence just didn’t appeal to me at the time, nor has it ever, but there was no running from the fact that Gears was a big deal for third-person multiplayer shooters on console in the late 2000’s. Not knowing exactly what to expect, however, is precisely what made my first real visit to the party such an enjoyable one. 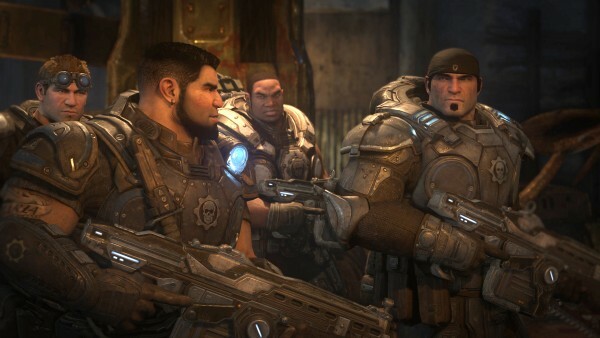 Gears multiplayer is different from any other modern shooter in that it more closely resembles a match of Chess. Pawns move linearly on a map without the ability to jump or easily climb to elevated areas, so careful movement from cover to cover is key. Controlling weapon spawns and objectives through close-knit attack or defense formations and precise teamwork is the name of the game in most modes. And with a limited number of respawn tickets per each four-player team, every life counts. It makes for a more demanding experience than most folks might be used to, but the feeling of accomplishment (and defeat) is all the greater for it. Like any good old-school shooter, customization is kept to a minimum with character and weapon skins being the only options available during the pregame lobby. The two weapons in your default arsenal will mostly determine your play style until a power weapon is secured. You’ll either whither your opponents’ health down at range with the Lancer assault rifle or get in close and personal for the risky Gnasher shotgun kill. Mix and matching roles within a team and playing to your strengths can make for some pretty fearsome gameplay strategies. Gears of War’s heads up display is kept relatively clean with no minimap or player markers, so learning map layouts and keeping aware of your team’s position will likely become a major focus during your first few hours of play. That does, of course, entirely depend on your history with the game and whether or not you’ve already memorized every nook and cranny. Luckily, teammate positions and power weapon spawn locations can be brought up with a simple press of the Tac-Com button, a new feature that fresh players will definitely want to make use of. But, what else is new? 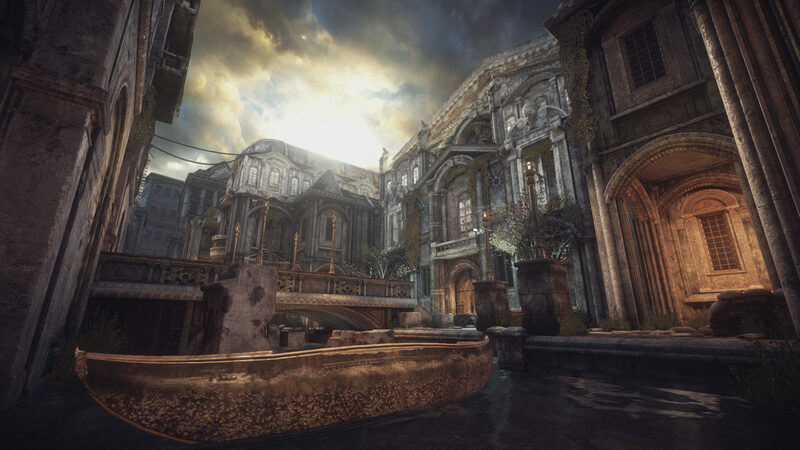 While the flow of each match stays pretty true to the original, a few newer mechanics that were introduced in more recent Gears games have been implemented in the Ultimate Edition. The option to quickly blind-throw grenades is in, as is the ability to spot enemies for your team by pressing in the left thumbstick. Both fit naturally into the remastered gameplay without breaking the experience. A few new modes, like Team Deathmatch, King of the Hill, and 2v2 Gnasher Execution have also been inserted into the standard list of classic Gears game types, including Execution and Warzone. In addition to the full assortment of original Gears maps, all DLC and PC-exclusive maps have been thrown into the mix as well, bringing the total number of maps up to 19. 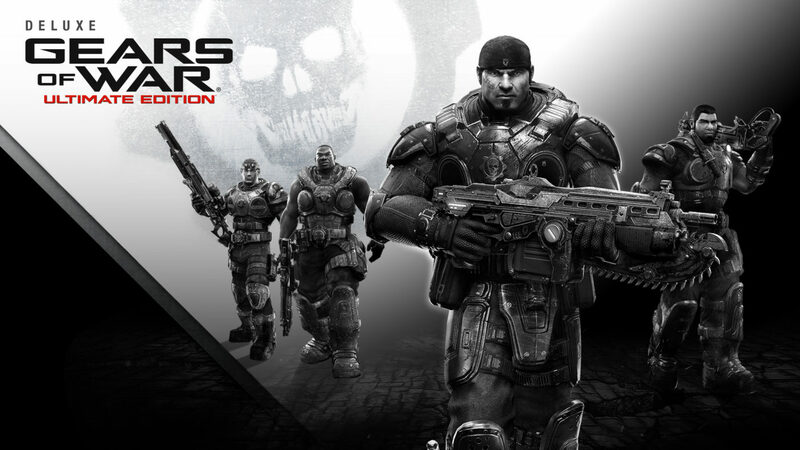 Multiplayer unlock progression has also been extended with 17 character skins from Gears of War 3 while working through the game’s single player or co-op campaign will gradually unlock new pieces of concept art and comic strips. Speaking of campaign, all content from the PC port of the original has also been included in the Ultimate Edition. Custom match settings have been updated to include new options to enable or disable Active Reloads, tweak the Respawn Time, turn Self-revive on or off, and alter Weapon Respawn timers. The new Tournament control scheme moves the cover, evade, and mantle function up to the left bumper, which makes life a lot easier for your right thumb, which can now stay focused on aiming. I can’t particularly recall what the online experience was like during Gears of War’s Xbox 360 days, but it’s safe to assume that the dedicated Xbox One servers powering the Ultimate Edition’s online services are miles better. Due to the cleaner 1080p resolution and 60 frames per second visual upgrade, the Ultimate Edition might not come across as dark and gritty as the original. Take a look at some of the new character models in the campaign, for example, and you’ll spot a few more ‘prettier’ faces than usual, which doesn’t seem to match up with the vision of the first game. It’s a fair tradeoff, however, as expressions and animations come across more clearly, and the new lighting and special effects look wonderful. The remastered Dolby 7.1 Surround soundscape also lives up to modern audio standards and adds to the immersion immensely. When you see it, you’ll find it pretty clear that the Ultimate Edition is a proper remake and not just a simple up-res. 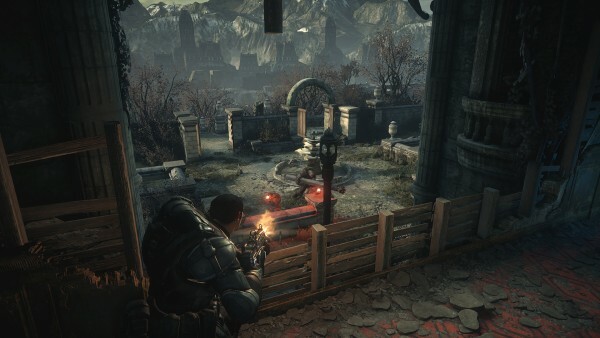 The Coalition has done a thorough job and what I’ve witnessed so far has me excited to see what the studio will be able to pull of with Gears of War 4 on Xbox One Holiday 2016. We’ve opted to leave this review scoreless as the Ultimate Edition is a faithful remake of a classic Xbox 360 title that accomplishes what it set out to do. We think it’s pretty clear that it’s an obvious pick-up for fans of the series and a great place for curious newcomers to soak in what Gears is all about before the next proper sequel. On the flip side, if you were turned off by the original, the Ultimate Edition won’t do a whole lot to change your mind. 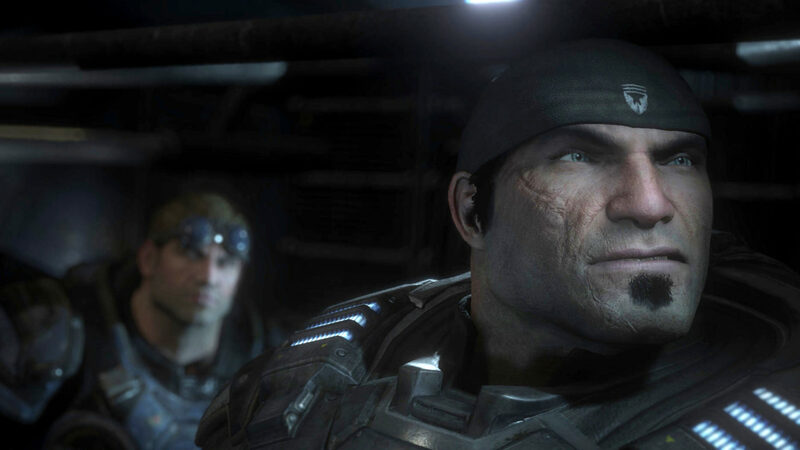 It’s still the Gears game you know and love, or hate — nothing groundbreaking about it. Though, for only two thirds the retail price of a standard Xbox One game, the risk involved in giving The Coalition’s debut project a chance isn’t all that severe. Like me, you might be happy you did. Long-time fans of the series, what’s your take on Gears of War: Ultimate Edition so far? Is it everything you remembered and more? If you’re completely new to the experience, how was your first ride? Was it enough to elicit some excitement for the upcoming sequel? Tell us in the comments. This review was based on a retail code of Gears of War: Ultimate Edition on Xbox One, provided my Microsoft.